How to Detect Bed Bugs at Home? As soon as you hear the word bed bugs, many might conjure up images of dirty homes littered with food, dirt, and general poor housekeeping. That is very far from the truth as anyone living in Singapore can have bedbugs, from the poor, to middle class and the rich families. Not only Hotels and Guest lodgings have the danger of having bed bugs either. Traveling business individuals that frequently sleep in different beds and other countries unknowingly bring those critters back to their own bed in Singapore. It hides in luggage, clothing, and any item that were exposed to any part of your luggage. Visitors also bring in infested shoes, baggage, clothing and more. 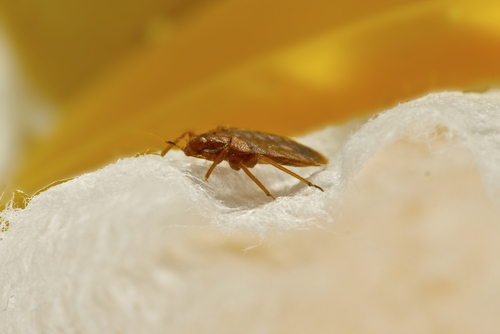 If you recently moved to Singapore or had furniture or boxes delivered to your home, you could also unknowingly had a bed bug delivery. You have to keep in mind that other insect bites such as mosquitos, ticks, fleas, and many other can leave you with bites that look similar to that of bed bugs. 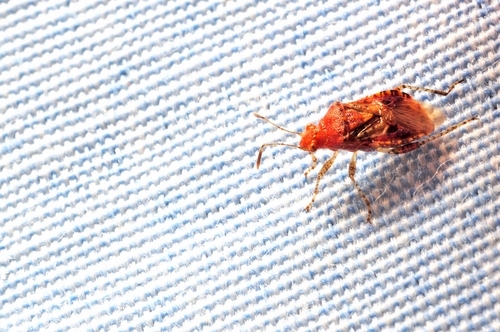 When you have bites alone, it is not an indication that you have a bed bug infestation. How Do You Detect Bed Bugs at Home? As soon as bed bugs enter your home and remember they cannot fly, they will look for another hiding place apart from their entry point, which we established earlier by personal and unintentional transportation to your home. These places can also mean under wallpaper and switch plates apart from beds and bedding, but their goal is beds as they live of blood. A female can carry eggs into your home as well aside from the creatures multiplying at a terrifying speed. Hundreds of bugs can be living inside your home before you notice anything indicating that you have an infestation. If you notice any of the above-mentioned signs, which will more likely, be bites that was not present before you went to bed without any signs of other insects in your home it is time to start an investigation in your bedroom. You need to familiarize yourself with a bed bug’s behavior and feeding patterns as well as conditions then it will be easier to detect them. While they feed on your blood for example, it is common for them to leave droppings, which turn into blood smears as the feces is in fact blood. This is often the best method of detection especially when you use lighter bedding or white sheets on your bed. Removing all your bedding, you need to look for physical evidence apart from live bed bugs itself, as this might prove to be more of a problem, as they would hide away. Turning on your light at night or actually setting an alarm clock to wake up before daylight and using a flashlight on your sheets might sound cloak and dagger, but remember that is their feeding time. However, do this for two weeks as they could go without food for a period and simply do not feed on that particular night. You have to know your enemy in order to destroy it and in this instance, understanding bed bug habits and behavior will make it easier to detect. Their living, feeding and reproduction times and cycles aid in finding an infestation before it escalates into a full-blown infestation. Continuous monitoring of bed bug presence will also prevent further bed bug problems after you got a bed bug specialist to clear your home. As soon as you established that you have a bed bug infestation in your lovely home in Singapore, immediately contact the specialists, as you will have an even harder time getting rid of them yourself than it was to detect them. Bedbugs are among the hardest pests to eradicate and are the most dreaded pests by homeowners. 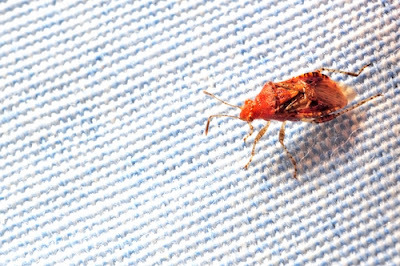 Any sight of a crawling bedbug on the bed sheets sends a cold shiver down the spine since these pests are renowned blood sucking monsters and difficult to eradicate. While in the past many people thought that these pests were common in dirty places only, time has proved that they can thrive anywhere as long as the environment is favorable and are left to breed. One of worst things about bedbug infestation is that they find their way into your house quite easily. You can pick up one female bedbug from a hotel and eventually lead to an outbreak of bedbugs at your home in no time once it successfully lays its eggs within your house. They can also find their way into your home from bought furniture, sleeping at a friend’s bed that is infested with bedbugs, from hospital beds, from schools, from public vehicles and any other place where a bedbug can cling onto your clothing. Gladly, a vast majority is embracing the use of professional pest control service providers since do-it-yourself methods often prove futile. Nonetheless, understanding what bedbugs hate plays a significant role in their eradication. Bedbugs are nocturnal parasites and are often active during the night. They are photophobic and will always crawl away at the slightest glimpse of light. This photophobia can be effectively used in the control of bedbugs through frequently spreading your beddings outdoors in direct sunlight, including mattresses. 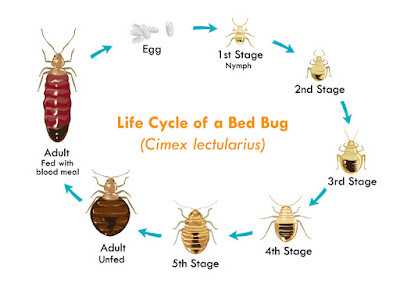 Having removed the beddings and mattress from you r bed, you will also expose your bed into light, which will either scare away the bedbugs or at least pull them out of their hiding places. The latter is quite worthwhile, as it will help you make contact with professional pest control service providers in time before they spread widely in your house. Bedbugs are afraid of intense heat. However, this should be well differentiated from warmth, as bedbugs generally love warm places. Heat that is sufficient to scare away bedbugs should be in the range of 50 degrees Celsius and above. In any way, the greater the extents of heat, the more the bedbugs run away. Wherever possible, spread your beddings in direct sunlight and flush hot air on your bed. Just as light plays a significant role in the detection of bedbugs in a given place, flushing hot air on your bed will also help you drive them out of their hiding places and give you tangible evidence that you indeed need help from professional pest eradicators. Bedbugs love breeding in places that they can easily hide. It is always worthwhile to ensure that your clothes are stored in an organized manner. Your dirty clothes should be kept in tightly closed dirty clothes’ bins and all clean clothes should be hanged on the closet. While most of the other pests hide on clothing and beddings, bedbugs love hiding in cracked wood more. When buying beds, tables, chairs and other pieces of furniture, always ensure that they are crack-free and that the edges of the wood do not leave cracks large enough to accommodate bedbugs. 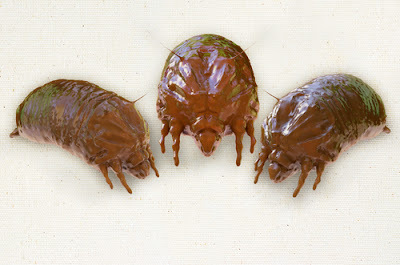 The scent of petroleum oil products is well known to drive away bedbugs. Applying petroleum oil on your furniture will always help drive bedbugs away or detect them once you drive them out of their hiding places. Well, this may be closely related to bedbug’s photophobia but it works through a different mechanism altogether. White materials are known to reflect light and thus even when the light intensity is very low, the brightness of white beddings tends to amplify the intensity of the light. This creates an unfriendly environment for bedbugs. It may be impractical to install oxygen aerators in your house but installing fans in your bedrooms in particular helps create an unfavorable environment for bedbugs. These blood-sucking parasites detect their host by use of carbon dioxide levels in their immediate environment and thus running your fan before you sleep tend to disorient them in their host-hunting mechanism. Eventually, they crawl away having missed you; their ultimate host. By employing these tactics, you will have created an unfavorable environment for bedbugs as well as stand a better chance in detecting bedbugs in your house in time. With such early detection, you will be able to seek timely intervention from professional bedbug eradicators before the bugs spread widely in your house.